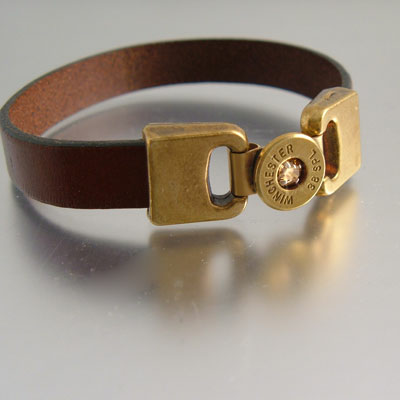 This leather and bullet head bracelet is modern, stylish and sophisticated. 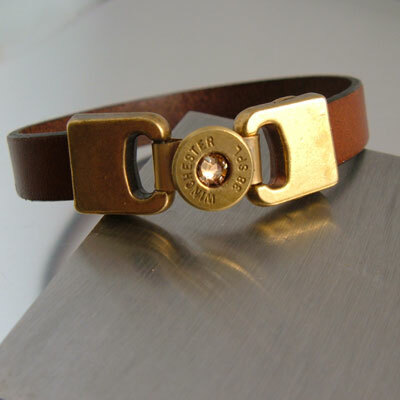 This European style leather bracelet is being seen everywhere, but not like this! 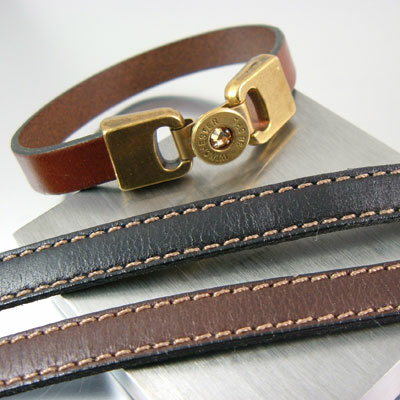 The antique brass will complement whichever leather style you choose. Wear alone or layer with other bracelets. 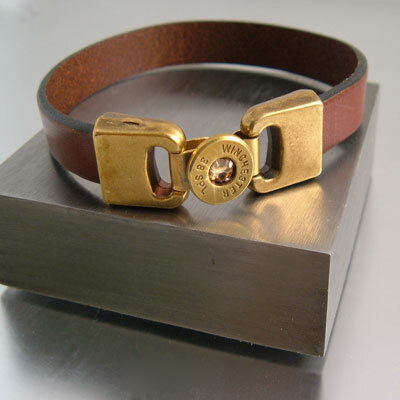 This style bracelet may be custom ordered for a man; larger size bracelet with no crystal. 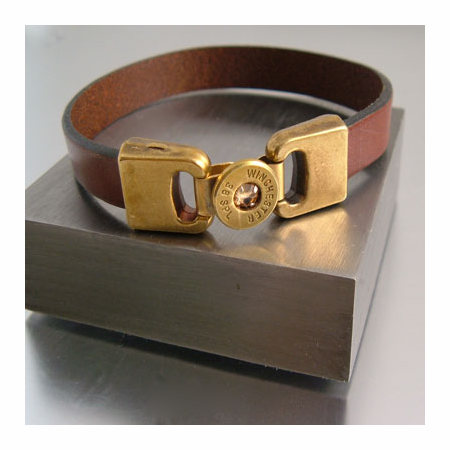 It can also be custom ordered with a different caliber size, with or without crystal. Contact me for details.